Should you get the new Tandem Money credit card – with NO FX fees and 0.5% cashback? How does the idea of a free credit card which has NO foreign exchange fees and pays you 0.5% cashback on all your spending sound? Tempting, I imagine, which is why we thought we would take a closer look at a new card product today even though it has nothing to do with ‘miles and points’. With the closure of the Lloyds Avios Rewards credit card to new applicants, there is no longer a rewards card out there which has 0% foreign exchange fees when you are travelling. Step forward Tandem Money. This is another new(ish) challenger bank which runs its business via an app instead of outlets on the high street. 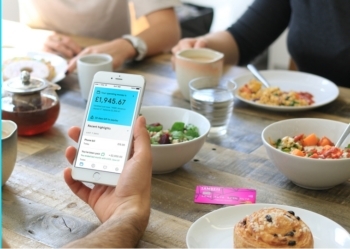 Tandem’s first product was a money management app, helping users to manage their money. The app pulls data from your bank accounts and calculates your available spending money by subtracting bills from the balance. It also warns users of higher bills and finds better deals. The reason there hasn’t been a real banking product until now is that Tandem has had some bank licence issues. Having initially gained a banking licence in 2015, Tandem lost it in March 2017 due to House of Fraser – of all people – pulling out of agreed funding due to issues with HOF’s new Chinese owners. However, in January 2018 Tandem Money bought Harrods Bank (yes, Harrods had its own bank with a branch inside the store) and thereby got a bank licence back. This allows Tandem Money to launch savings accounts in the future. Tandem Money has now launched its first real product – a credit card with no FX fees and 0.5% cashback. The Tandem credit card is a Mastercard and offers 0.5% cashback on everyday spending in the UK and abroad. There are no FX fees when you are travelling which save you 2.99% compared to the fees on the average UK credit or debit card. In comparison, the Lloyds Avios Rewards card is the only loyalty credit card which doesn’t charge FX fees. With the Mastercard you earn 0.2 Avios per £1 spent and with the American Express card 1.25 Avios per £1. The Lloyds Avios American Express card remains the best deal for spending abroad but Tandem – with 0.5% cashback – is more attractive than earning 0.2 Avios on the Lloyds Avios Rewards Mastercard. Tandem also imposes no fees for cash withdrawals abroad though you do have to pay interest from the moment you take out the money. The Tandem cashback is added to your statement each month. It genuinely could not be easier. Let’s be honest. With interchange fees of 0.3%, to me this credit card clearly seems financially unsustainable for Tandem, although Tandem claims that the credit card is profitable, and I’m assuming that this is just a way of luring in new customers. 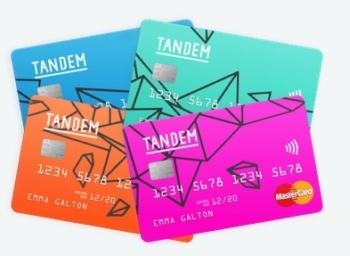 Tandem Money has a fixed term savings account in the pipeline which will exploit its new banking licence (you don’t need a banking licence to issue credit cards) and will be trying to get its credit card customers to eventually move their savings to Tandem as well. Whether or not the card is unsustainable is not your problem though! If Tandem is willing to run up large losses then you should take advantage of them until their funding runs out as your money is not at risk. The page to apply is here. Club Carlson rebrands as Radisson Rewards - what is new? So if I withdraw cash overseas then immediately pay that amount off the card will this avoid any interest? I’d wait until you can see the debit on the internet banking app or you may be seen as loading the card. Do cards not honour rewards/points if a card is loaded? You get points, you do not get S75 protection. If by immediately you mean ‘credits same day’ then yes – but you won’t know the exact £ amount needed. Barclays Platinum Travel does not charge FX or interest on cash withdrawals if you pay on the normal date. Open a starling current account, accept the “pre approved overdraft” they’ll offer. Use that for overseas cash withdrawals, you get a phone notification as soon you make the withdrawal for the exact amount it’s taken, so you can transfer across from your normal current account immediately. You obviously need free roaming or WiFi but then you do for crediting a credit card too, but this is far simpler and you’re not risking credit card ATM withdrawals harming your credit rating. Thanks to your wonderful comments section, I took this out on the day that will go down in history: Lloyds cancelling their Avios Rewards card. However, they only gave me a £4k spending limit, which means I’ll need to pay it off once a week, if not more, during some foreign trips. Hopefully it’s not another Curve with such harsh limits in place. What’s the highest daily spending limit on the Curve? They’ve given me £3750 and told me that’s the max they give – anyone out there got more? Have you used it much, or is it just based on your credit score? I’d really like a 5 figure daily limit for paying HMRC – in the past they’ve capped me to 3 card payments for VAT, and £11k doesn’t cover half the bill! I’ve used it a lot since launch. As Curve isn’t a credit product, no credit scoring. @Genghis Is that on the new debit card or original pre paid credit card? I recall when I got my card the limit was absurdly low and they were reluctant to increase it at my request, but over the years it’s been ratcheted higher. I think this is a consequence of Lloyds having had to take a more risk averse view over consumer debt. Odd though that nothing has so far changed with MBNA’s very aggressive enthusiasm for offering large credit limits and low interest rate cash advances to your bank account for 4 ot 5 years (with no initial cash advance fee) despite it now being wholly owned by Lloyds. Even the seriously geeky guys adverts continued to run on tv for a long period after Lloyds took over (not seen any since the New Year), although of course they may have been prepaid for say a year in advance……. But may be the point of the acquisition of MBNA though is so that Lloyds can slowly increase the risk profile of its credit card business having overdone the cautious lending thing after the big financial crunch in 2008? I’ve also got the £4k limit but only use the card to hit the £7k for the upgrade voucher, however I’ve known many other credit cards to increase the limit once you’ve built up a bit of history with it. Our BAPP limit is ridiculously high! Not sure if you’re referring to the Tandem or Lloyds card here. If it’s the latter, I got a very small credit limit initially (think it was £1900) but requested an increase via the online form a couple of times and soon got it up to £8k. Didn’t try for any more than that though. Thanks everyone for the feedback; I was referring to the Tandem card. I have ~£100k/m of credit between HSBC Premier and AMEX Starwood (former all for business expenses, latter for personal – both paid off in full each month), so getting a measly £4k was a bit of an insult. Hopefully they let me increase it over the next few months, otherwise it is mostly useless. I can appreciate that a low credit limit could be inconvenient, even virtually useless to very high spenders, but “a bit of an insult”? Is that how you view credit limits; as some sort of appraisal of your status? To be fair to Tom C credit limits are an appraisal of your financial status. @Cate. In sum, arguably yes but not a limit from one credit institution. In most cases in recent times when I have been given a card with a low credit limit, I have already had another card with a large limit from the same institution. I have had this happen with Amex, Barclays, and Halifax. I don’t see this as any comment on me at all, as the institution has already given me a large limit. In cases where I applied for the new card mainly for a signup bonus, this was not a problem. In cases where I wanted to use the card for ongoing spend, this was more of a nuisance. That said, in all three cases there was no trouble getting the credit limit increased six months or so down the line, even though I still had the other card. HMRC don’t cap at 3 card payments only within a set period of time, try a week later. Halifax and Tandem both start charging interest from the day of a cash withdrawal. Correct. And for complete clarity, neither charge fees over and above the interest. They charge interest for fx cash withdrawals from the time the cash is taken out. If you pay by direct debit and clear the balance when due, doesn’t that mean you don’t actually have to pay anything in charges? Nationwide Debit card has no foreign withdrawal fees. Hence no interest as it comes from you current account balance. This is obviously splitting hairs as using my Halifax Clarity I usually get away with a days interest per £100 so costing about 5p really! Is this for the Premier Account? It used to be on all Flex accounts but I thought they stopped it on the standard Flex one (the one I actually have). Also is that on all currencies or just Euros? I have the old Natoionwide Gold credit card that is no longer available. That is free for transactions but only for GBP and Euro. They are no longer fee free for cash withdrawals. Ended a few years ago. Yes sorry I have Flex plus account £13. No fees. The £13 gets you travel & mobile insurance and breakdown cover. Interest on balances up to £2,500 more or less reduces the fee. I usually pay about about £5 a month net. Cash withdrawals abroad free everywhere not just Euro zone. How can you pay for foreign cash withdrawals without needing to pay the whole balance? It depends if any payments go toward the oldest transactions first, or go toward the highest interest attracting transactions, which would usually be cash withdrawals (not sure if this varies by card provider, or if they all take the same approach). I use the Halifax Clarity for all foreign transactions, and just make sure I settle the whole balance when I’m clearing down any cash withdrawals. I use my Halifax Clarity for foreign ATM withdrawals (and I pay them off immediately) and I use my Post Office card for foreign spend, which I pay at the end of the month. It’s just easier (for me) to keep them separate. No – interest is added to your statement based on what would run up between the withdrawal date and the DD date. You call the number on the back of the card and it gives you an option to make a debit card payment, you can also do it on MBNA cards via the website. I’ve also put £20k in my ISA (worth about £25 in clubcard vouchers), and will be paying my tax bill when the time comes. In a world where card transaction fees are capped I think moving to the Tesco system might be best for me. The alternative is Amex now push for the same level of acceptance as Visa/Mastercard and make up their loss of margin in volume, either way its going to get harder to earn points. That’s great, thanks Thomas. What company was the ISA that you paid the £20k into with Tesco Debit? Bugger I didn’t read the fine print, I think you’re right, lots of these transactions are probably going to be excluded. Sorry for the dumb question but why would you want to pay off your credit cards with a Tesco Debit card. I feel I’ve been missing a trick here. The Tesco debit card gives 1 Clubcard point per £8 spent on it. ‘Financial transactions’ are in theory blocked from earning points but the odd one seems to slip through. HMRC is also allowed. OK thanks Rob. It was the block on financial transactions that was fooling me. Is it justteh Lloyds and MBNA cards that this will work for? I predominantly use my AMEX for UK spend these days. I’m not sure. I paid off my Amex using my Tesco Bank debit card this month, no points as expected. Are some card issuers not reporting it as a ‘financial services’ transaction? We don’t get any commission, sorry! Small typo spotted. You refer to them as ‘Tandem Monday’ on one occasion. Thanks! Auto correct I guess on a misspell. Big question. Do they load the exchange rate? No, they can’t as MC does the conversion. Was there not a comment that this card was primarily aimed at high risk users and that the mark left on your credit file may be detrimental? The representative APR of 18.9% would suggest it isn’t being promoted at high risk users. It’s broadly similar to the representative rate of M&S, John Lewis & Virgin Money. I don’t think Aqua is a Creation brand. Aqua is owned by Vanquis Bank/Provident Financial. Try New Day, who issue a number of store cards (Amazon, Debenhams etc) as well as their own range. Thanks – that would be why I was confused! Should know better, I doorstepped them at their Head Office when they were sending me marketing emails and mail (for sub-prime cards) without my consent. That suggestion related to the Aqua card, not the Tandem card. Application in, even if they load the exchange rate the cash back should compensate for that. As Rob states, I can only see this being a loss leader for Tandem, however, apart from hoping people will open a savings account I wonder what value the data will have when Open Banking comes in? Value of data from open banking? Right now? None whatsoever from me. I’ve no issue with electronic banking, I’ve been using it since I had a Bank of Scotland HOBS terminal back in 1988, but I’m risk averse at having a single portal accessing everything across multiple organisations. In time, I can see Mortgage lenders insisting on access. None from me either, but if even 20% of applicants allow access to other accounts then that data has commercial value. “no FX fees” surely means the actual exchange rate is less favourable, no? No, because the translation is done by MC / Visa at standard rate. Isn’t the Post Office card also FX free? And one of the Barclaycards? Do those cards earn rewards? That’s the benefit of this card vs other FX free cards. They auto declined me, would probably have used this for some 5 figure monthly spending too…. There is also a fee for withdrawing cash overseas (unlike the Clarity and, apparently, the Tandem). I find this particularly useful with my Clarity card as it is the cheapest way to get cash for overseas spend. Its not worth the £13 a month for us. Due to pre-exiisting meds the travel insurance is worthless, I’ve never insured a mbile phone and I have only ever driven our own car in mainland Europe a couple of times. If these things work for you then it is a good account – just not for us. More seriously, this is an issue. Last year Harrods Bank was being very aggressive with its savings rates. Now, when you are playing with large sums, the £85k compensation number is meaningless. You fall back on the implied covenant of the parent and a lot of people will have taken a gamble that – if Harrods Bank had hit trouble – the Qatari Government, as owner of Harrods, would have bailed people out for reputational reasons. This is the same reason I have a chunk of cash in Tesco Bank because they have very high savings rates and I trust the implied covenant from the parent. Now your Harrods Bank savings account is with Tandem you have zero protection from a wealthy parent above £85k if Tandem runs out of funding. I don’t know if anyone who had a locked-in no-withdrawals savings deal with Harrods Bank was allowed to break it or not.